Containers are widely renowned for their durability, and this is hardly surprising. Their primary function is to transport various goods across the globe, and these goods can often be very precious and expensive. Not only this, but shipping containers can be subject to extreme weather, and are specifically designed to protect the items they are carrying at all costs. Can a container stop a bullet? This is a broad question. There is, of course, more than one type of bullet. A small .22 will have a very different impact on a container than a .50 calibre round. The short answer to this question is that containers are bulletproof sometimes. Obviously, we weren’t able to test this out ourselves, but a shooting-based YouTube channel called Civil Advantage carried out an experiment, and the results are very interesting. Using two layers of a container wall, they tested out eight types of bullets of varying strengths. They measured how resistant the container wall was by recording how many layers each bullet managed to penetrate – if any at all. Three didn’t penetrate either of the two steel layers. Three penetrated one of the steel layers and made a dent in the second. Two penetrated both steel layers. While the container was bulletproof to the weaker bullets tested, this was not the case with the full metal jacket or armour-penetrating bullets. As a result, there isn’t really one set answer to the question: it completely depends on the type of bullet used. While we would like to hope that you’d never be in a position where you would need a bulletproof container, it is still an interesting question to investigate. 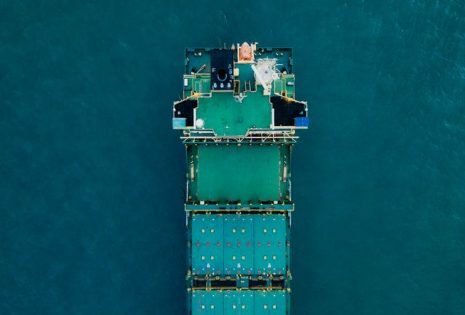 As we know, containers spend the majority of their time on the back of huge cargo ships, where they often fall victim to heavy rain and plenty of sea spray. To ensure that the products inside the cargo are protected, shipping containers are specifically designed to not let any water in whatsoever – keeping the contents of the container bone dry. But this makes a container watertight, not waterproof. While these two words are commonly confused as synonyms for each other, this is not the case. The word ‘watertight’ refers to an object that is tightly sealed so as not allow water to enter inside, whereas the word ‘waterproof’ refers to an object that cannot be damaged by water. Although containers can be customised to be waterproof, the majority will rust when exposed to great amounts of water over time. Therefore, strictly speaking, we can’t say that containers are completely waterproof. Despite this, they can be used for up to 12 years for shipping purposes, so a little rusting shouldn’t matter too much. Let’s put it this way – you would have to do pretty well as a thief to break into a container. Containers are able to withstand hurricanes, tornadoes and earthquakes; so you can guess that attempting to steal something from one of these steel fortresses would be a struggle. For heightened security, containers are often secured using heavy duty padlocks which are kept inside of lock boxes. While a thief can cut through a common padlock in under 20 seconds, heavy duty locks are made out of hardened steel, and the lock box keeps the padlock completely out of sight to potential thieves. You would also have a hard time trying to damage a container – after all, they are made out of one of the strongest metals in the world. Containers are made out of steel, which is a fire resistant material. Therefore, a container would only catch fire in very extreme cases, like if the container was already carrying a large amount of flammable materials. If, for whatever reason, a fire was to start inside of a container, the container would be able to prevent the fire from escalating. Containers are airtight, therefore the fire would extinguish itself once it has used up all of the oxygen inside the container. While the inside of the container in question would be damaged, at least the fire would have been prevented from spreading. 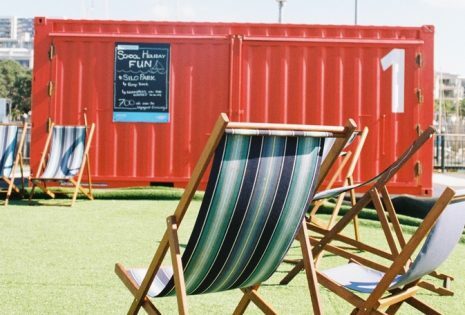 As we know, containers can be used for many purposes other than for shipping, such as temporary offices and pop up shops. Interestingly, containers are often used as a way of training firefighters by simulating real-life situations. Although they are already fire resistant, containers are usually further customised with heat proof paint, exhaust systems and controls that can monitor the rate of fire growth, the temperature of the fire and extinguish the fire when necessary. 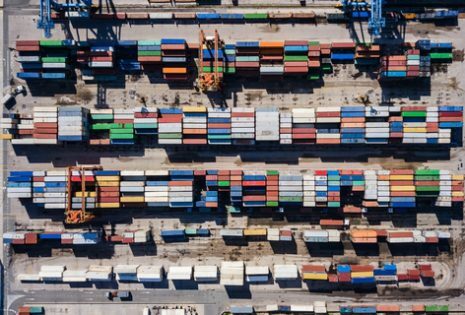 Hopefully, we have been able to answer some of the big questions regarding the strength of containers. 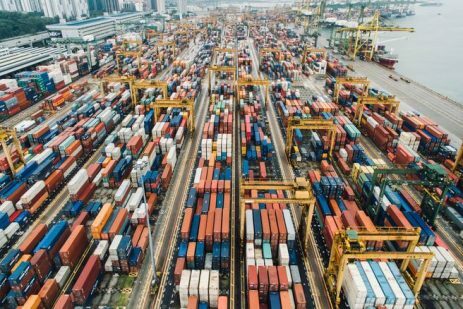 While containers aren’t completely bulletproof or flameproof, they can still withstand a great amount of wear and tear; which we think is pretty impressive. 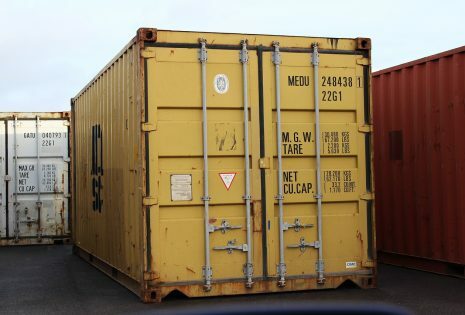 If you’re interested in buying or renting one of our containers, then get in touch today.